Quandary Pants were made for sticky situations, like choosing which pants to wear for the next 15 days or for a hot and humid Tepui approach. These technical pants are gusseted and have articulated knees for mobility, and adjustable legs roll up and secure. 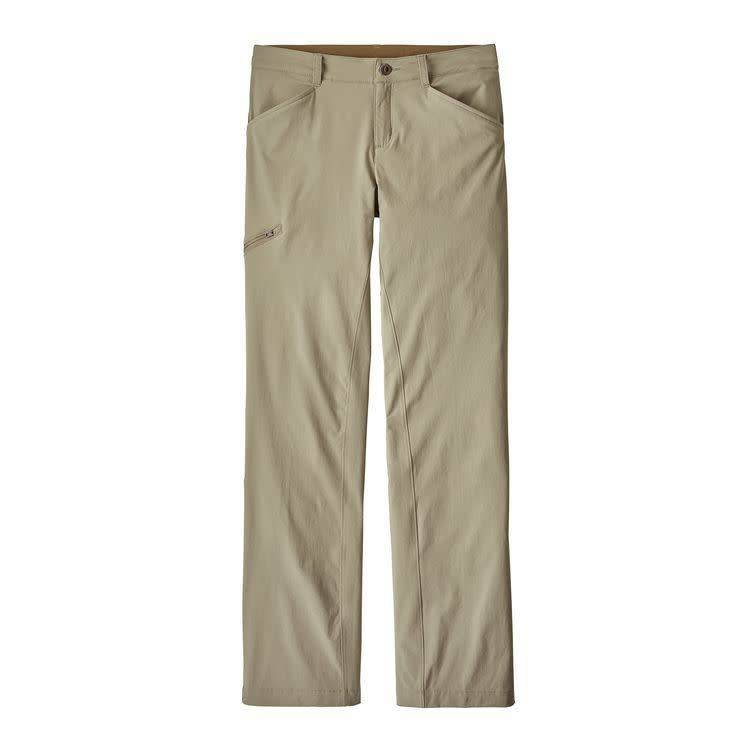 Made from lightweight and stretchy 95% nylon (65% recycled)/5% spandex fabric with a DWR (durable water repellent) finish, the pants provide 50+ UPF sun protection. Details include a metal-snap closure, reverse-coil zippered fly, belt loops and drop-in pockets on the front; there’s one zippered back pocket and one drop-in. The side cargo pocket zips and secures valuables. Inseam (size 8) is 32".